Warning: Contains high levels of corniness, big hair, old-school fighting, police and villains that can't aim, a missile circus with a Budweiser can and a lot of love. Playlist is not 100% final, because sometimes, life happens. Description: Caught up in an illegal mission to steal military secrets, Armored Trooper Chirico Cuvie is on the run from his own army. Left to die by his traitorous commanders, Chirico makes his way to Uoodo City - a hive of criminals and refugees - where he'll need all of his battlefield-honed skills to survive. Driven by the image of a mysterious woman whose destiny is linked to his own, Chirico begins a quest that will shake the foundations of the entire galaxy! 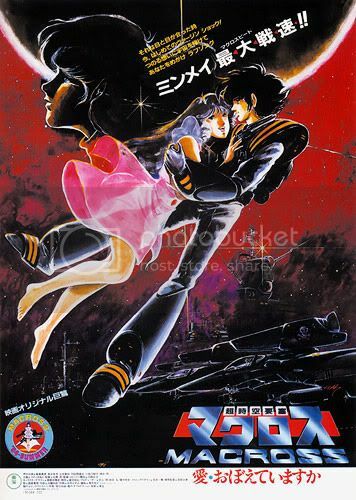 MACROSS MOVIE - DO YOU REMEMBER LOVE? Description: A reworking of the original Macross TV series (known as Robotech in the West), Hikaru is a Valkyrie pilot aboard the Macross which is in the middle of a cosmic war against the giant Zentraedi. During the battle, he comes across the pop star Lynn Minmay whose singing might be the only hope against the Zentraedi's culture. But can she sing when Hiraku, her love is caught between the pop star and the Lieutenant Misa? Filled with aerial combat choreography and emotional drama, the release of Macross: DYRL was a major event in Japan. It won't disappoint you. It's brilliant. Hell, just about about everyone who was there at the end of tonight's meeting said they wanted to see it. Told you this had to be played at all costs, Greg. Now do you understand why? 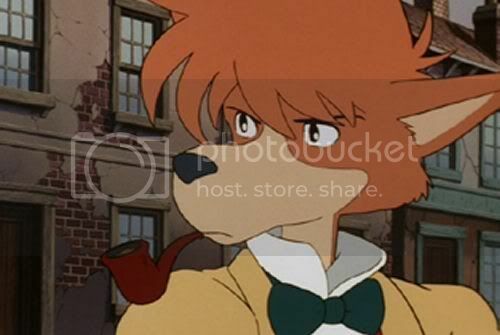 I had to go through every Sherlock Hound episode to find one I thought would be best with the crowd, as it is a fairly episodic show that is consistently good throughout, so it wasn't an easy choice. 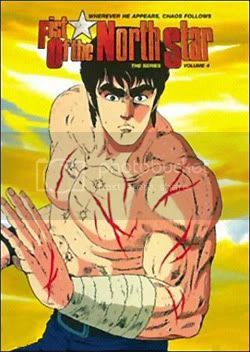 I debated long and hard with myself since Adam told me I should pick the Hound episode and advised me on Votoms and North Star episodes. 3 has the Press Machine/Counterfeiting fiasco was a better Moriarty scheme + that epic scrum by Holmes + Lestrade and was probably the first to do Lestrade and his crew justice, but it was still a bit tame compared to other episodes. 9 had that epic 'War on the River Thames!' and the underwater treasure saga but was really dominated by a couple of one-off characters - Lestrade and Miss Hudson, as well as Holmes and Watson to a degree, didn't get enough airtime despite the mayhem, so it didn't seem a good introduction to the character dynamics. 10 is classic and Miss Hudson just goes berserk in this one with its excess. But again, that's the problem - it's her episode. Lestrade and co. don't even appear, Holmes and Watson are reasonable while Moriarty and co. have had far better moments/schemes, so the character relationships would seem a bit weird for the first timer. As for the other series, Adam was of the opinion Episodes 1 and 49 of Ken were the best to show. Tried both - both great but 49 kind of needs backstory in a way, even if it has a classic fight in it. Episode 1 does fill a lot of necessary detail in and has good fights. 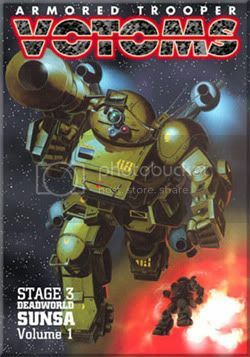 Votoms - yeah, that betrayl is crucial. Plus that naked chick at the halfway point is crucial to the protagonist's motivations. Not to mention we couldn't have all the 80s fanservice only be on the 2nd night - had to have some on the 1st night, so ep1 was an obvious choice. Because City Hunter and Dirty Pair have a lot.